Happy Sat. everyone!! So happy it is the weekend - but like every weekend, it will go like the speed of light!! So - I am taking advantage as much as I can and doing a little crafting today. I'd like to share with you what I am submitting into the latest CAS-ual Friday Challenge. Use strips of card stock, pattern paper, washi tape - what ever you can think of to create a clean and simple project. I thought it would be fun to use strips of AC glitter tape to mimic the flash of a camera - so I first stamped my beloved Polaroid camera image from one of my favorite Lawn Fawn sets - Say Cheese. I stamped my camera onto on yummy chevron pattern paper from Amy Tangerine- Sketch Book line from AC. My sentiment actually comes from the sticker element sheet from Simple Stories - Fab-U-lous. To finish off - just added some faux stitching to tie everything together. Pretty fun card. Hope the girls at CAS-ual Fridays like it, too :) Have a nice rest of the weekend everyone. Do some crafting - or whatever makes YOU happy!! What fun! I love Lawn Fawn and have looked at that stamp before, but now you have me thinking of all the other ways I could use it. It's just darling and the glitter flash was a real inspiration! 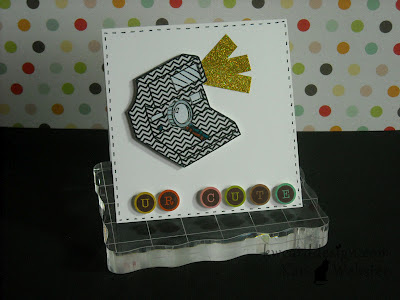 Super cute and I really love your chevron camera :) Thanks for having some fun with us at CAS-ual Fridays! 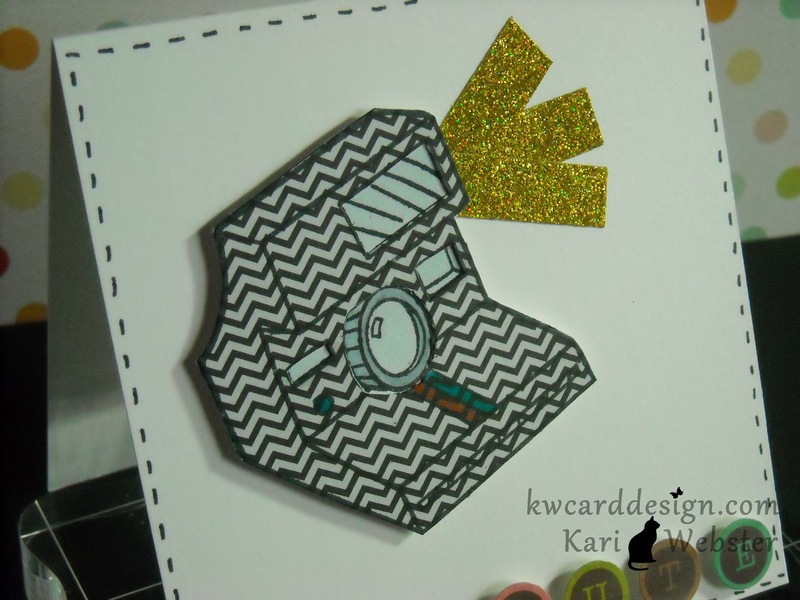 Kari, this is so cute and creative! I need to get some of that glitter tape, I love how you used it for the flash! What a great card!! LOVE that glitter tape...wonderful with your camera!! Thanks for being a part of the challenge this week at CAS-ual Fridays and sharing your creativity:)! !